Hi, guys! How are your holidays going? I hope they are amazing, because it’s the best part of the year and the most magical days. I remember how much I waited for it in my childhood. 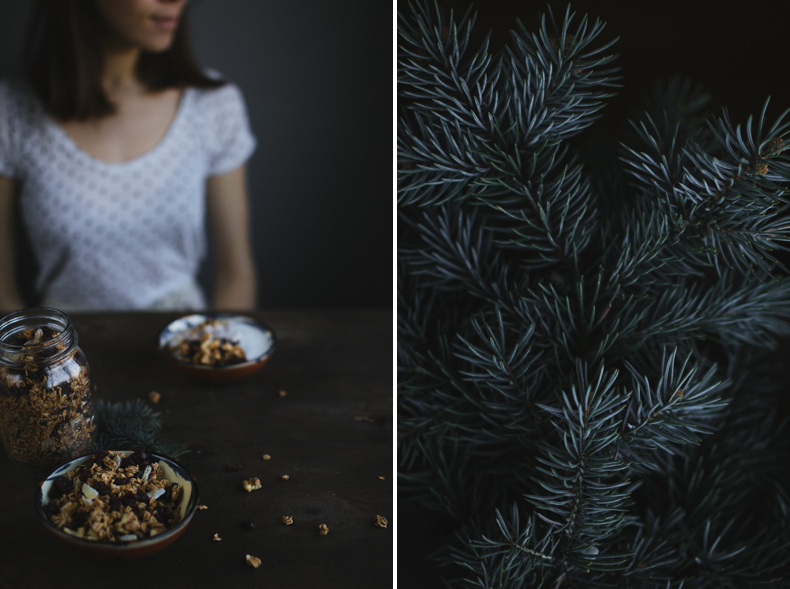 I don’t know what I loved the most – delicious dinner or my parent’s gifts. But now I am still waiting for winter holidays as a little girl. So, I want to wish you Happy Holidays! All the best for you and your families, my friends! Today I want to share my last blogpost in this year. I have so many great changes in my life that I hope that I will return soon with a lot of new interesting posts! 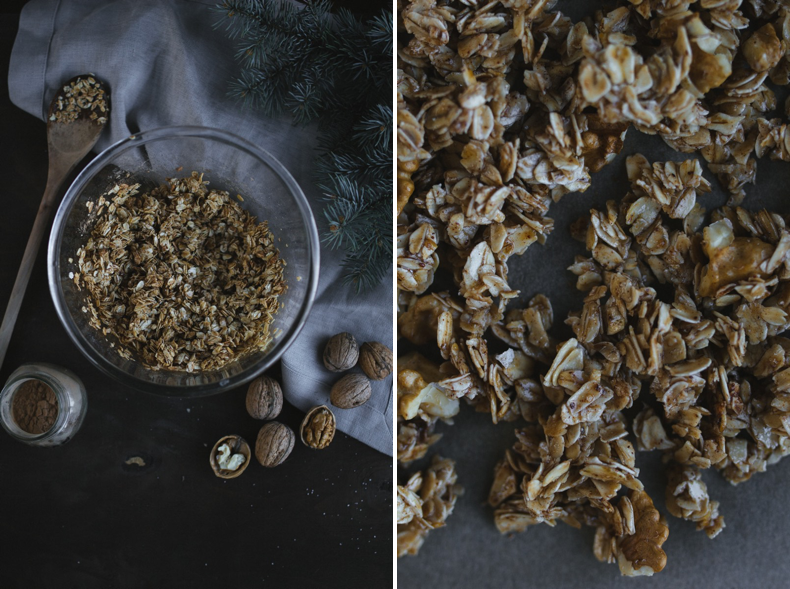 Today I will share one special recipe of granola. 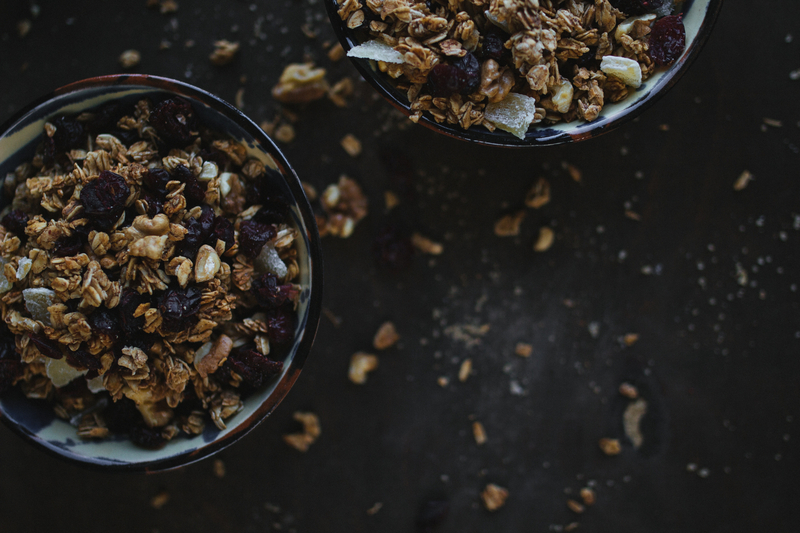 Oh, I love love love granola! Mixing ingredients, getting the new interesting tastes is like an interesting quest. And I adore it! 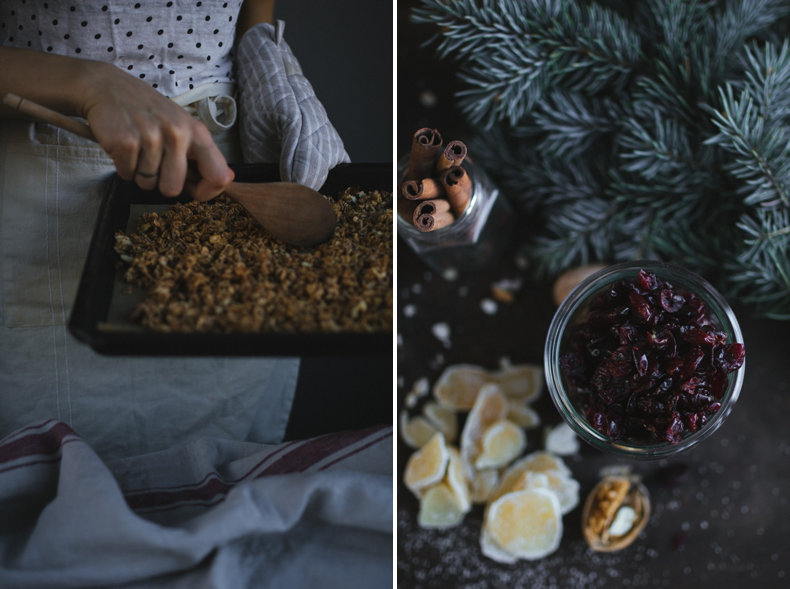 Today’s one has a truly Christmas spirit – look at these – dried cranberries, ginger, walnuts, cinnamon… Come on guys, let’s cook this, as I call it, Granola A La Christmas! 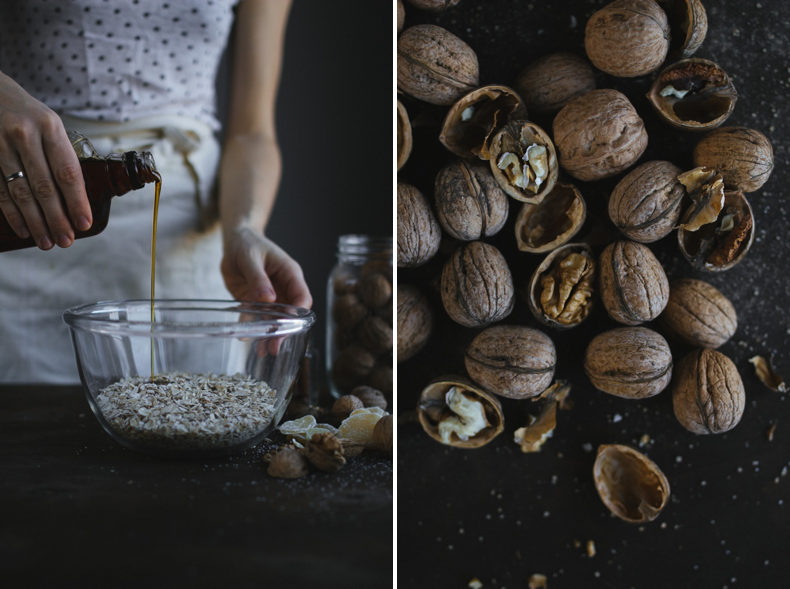 Mix the oats, walnuts and spices in the large bowl, add maple syrup and mix until mixture is evenly moist. Preheat oven to 160 degrees. Place sheet of parchment on the baking form and scatter oat mix over a baking sheet and roast for about 20-30 min until golden brown. 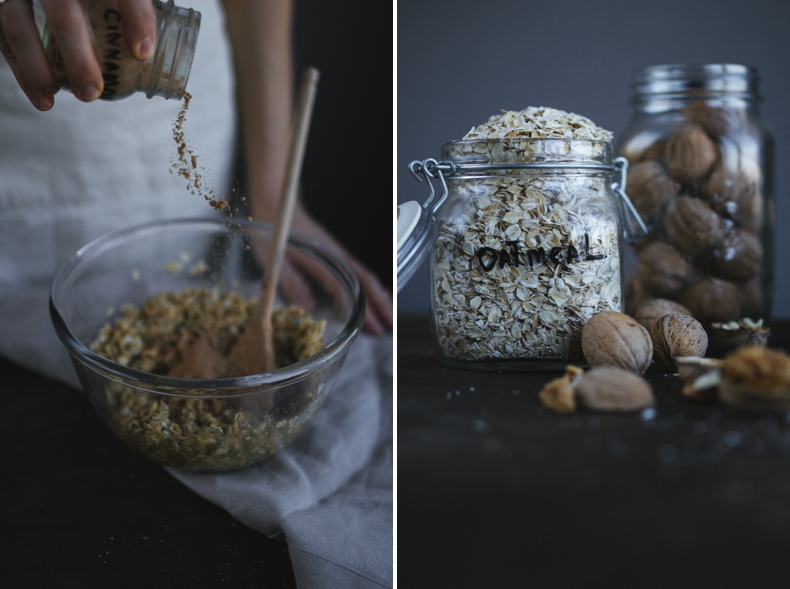 You must mix the oats every 5 min to avoid burning. After that, take the sheet with oats and set aside for 10 min until it’s cool. 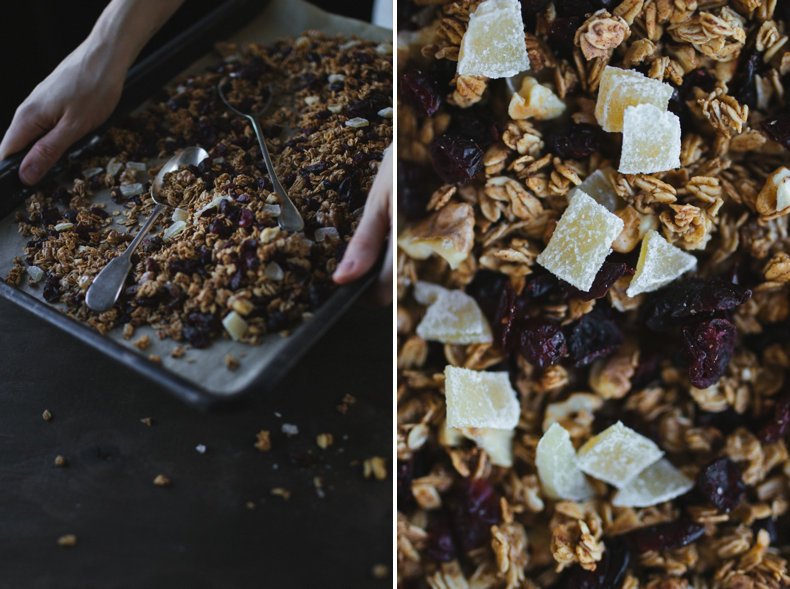 Mix cranberries, chopped candied ginger with oat mix. 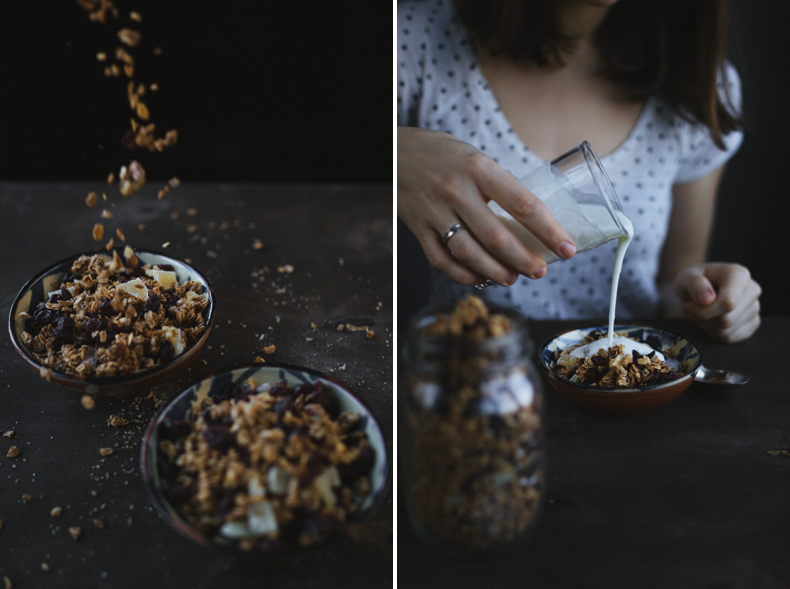 Keep your granola in a tightly closed jar for a couple of weeks. Serve it with yogurt or warm milk as you like! 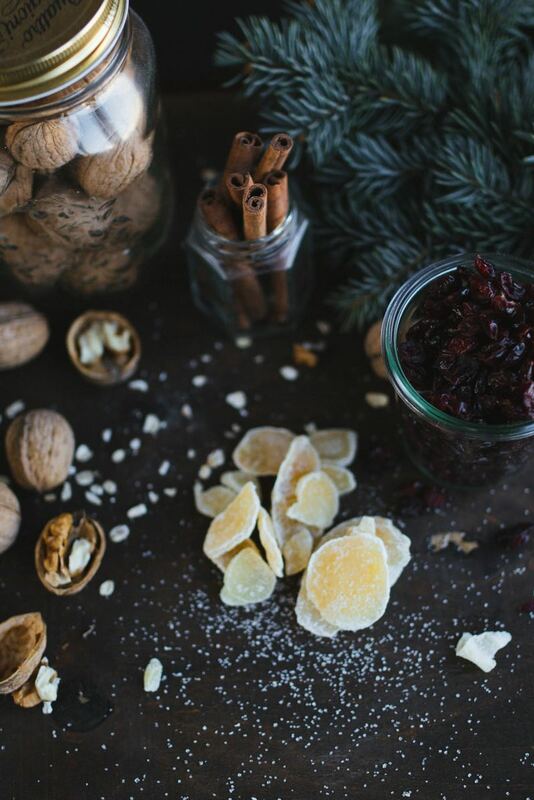 – You can choose any candied fruits as you like. 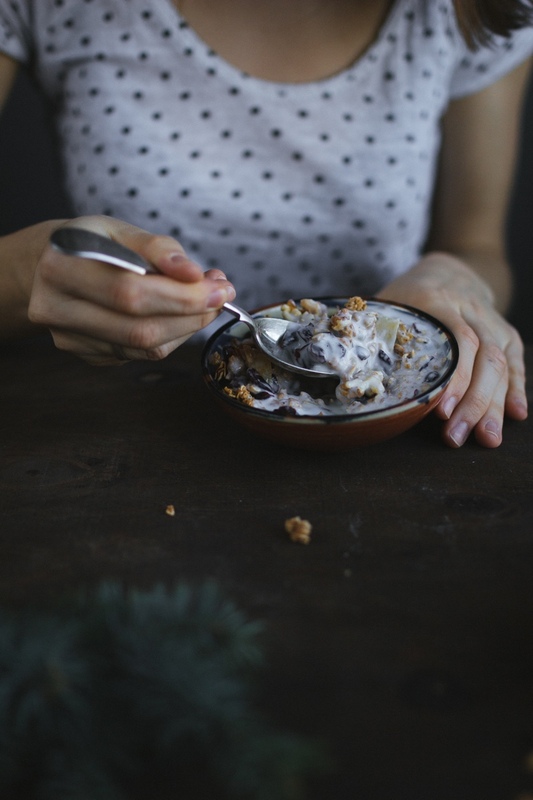 Try different ingredients with your granola, mix candied lemon with almonds and dark chocolate chips! It must be super! 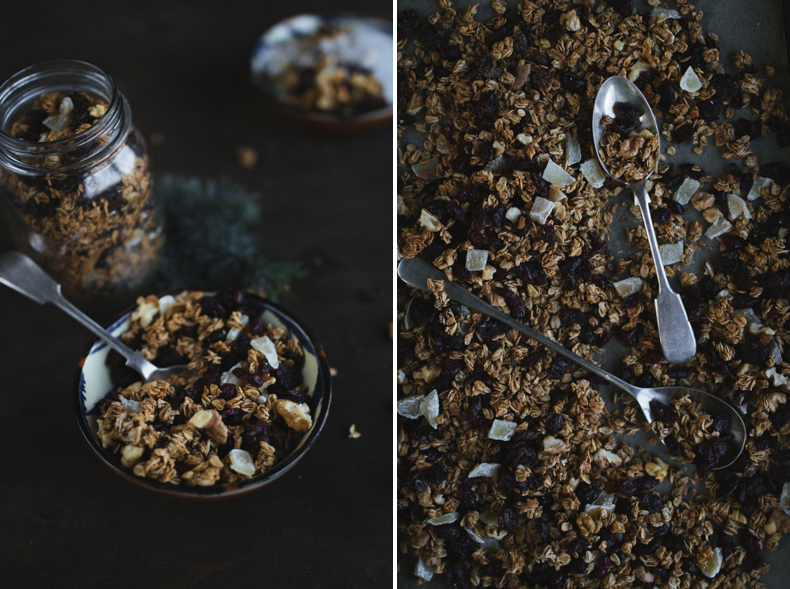 – Granola is also a good idea for holiday’s gift to your friends or parents. 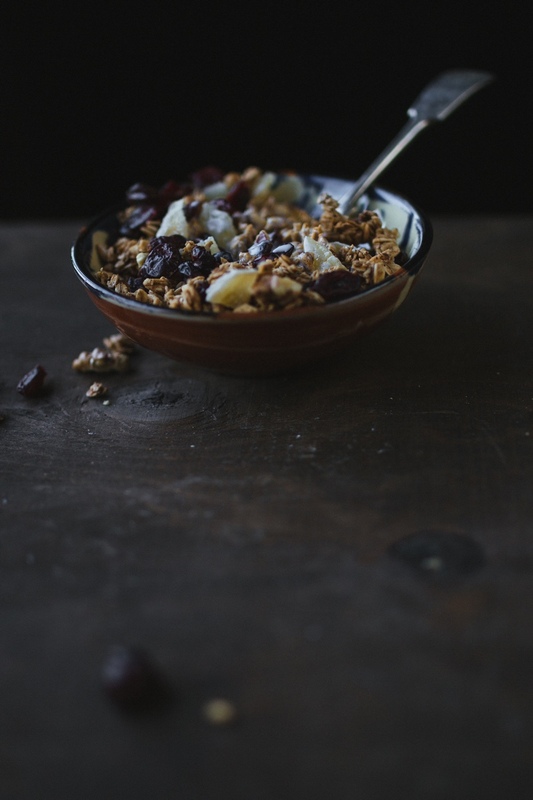 Just buy a beautiful box, put your granola and decorate with a name tag!